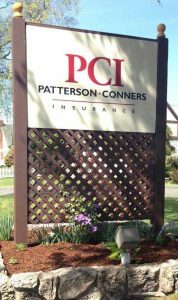 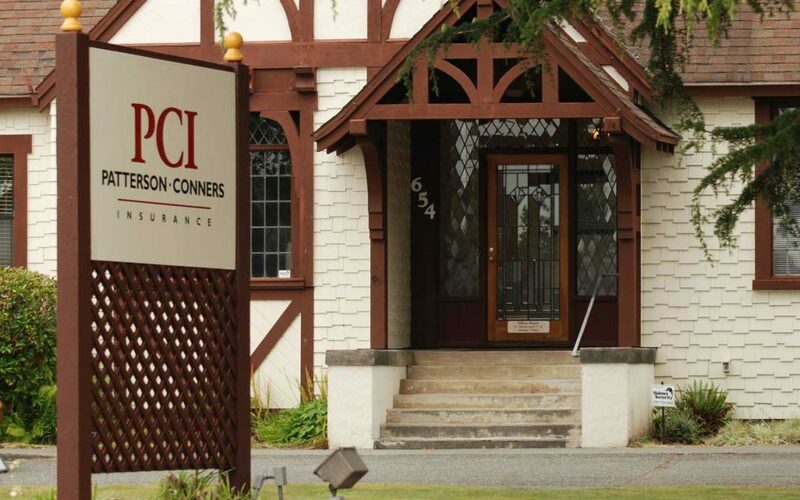 Patterson Conners Insurance in Fortuna needed a new, modern look and a replacement for the existing post-mounted sign. 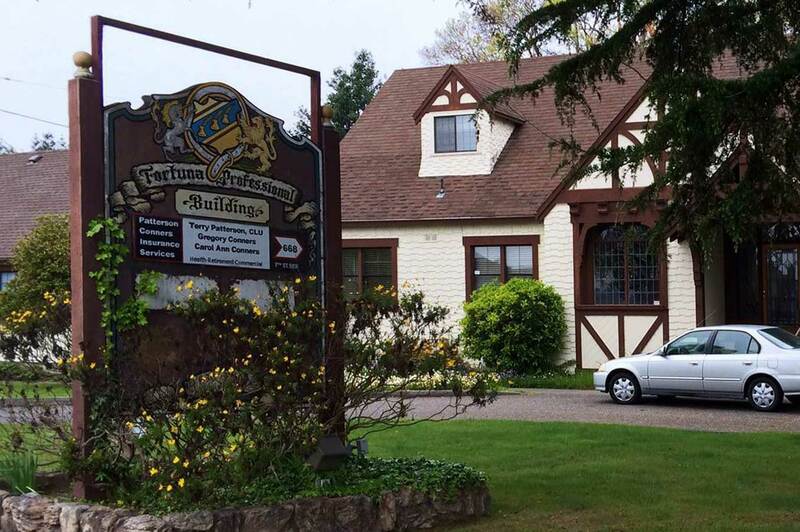 We were able to reuse the posts and finials, and the lathe softened the structure on the bottom of the sign. 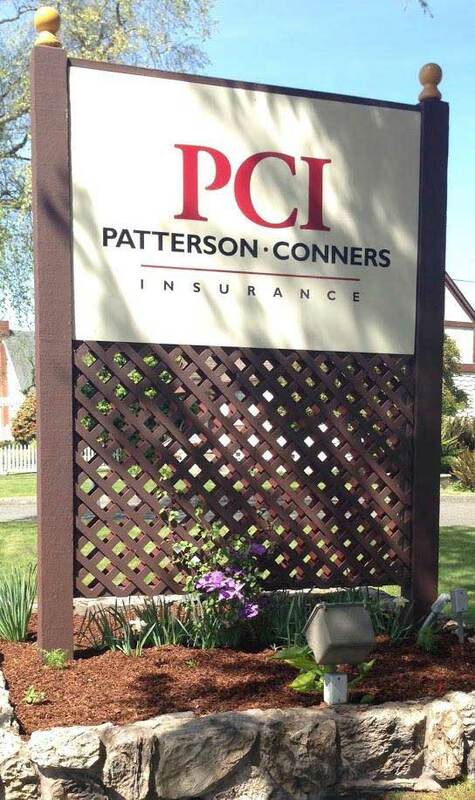 This is what the sign had looked like previously.